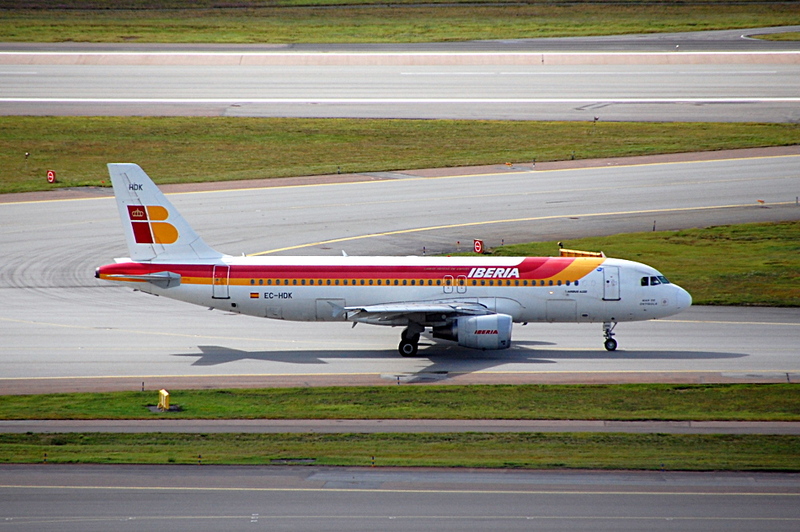 Iberia has been flying to Stockholm Arlanda for many years. This is EC-HDK, an Airbus A320-214 that was flying for Iberia from delivery in 1999 until 2013, when it was transferred into the Iberia Express fleet and re-registered EC-LUD. It is taxiing from terminal 2 for departure from Arlanda’s runway 19R for Madrid.